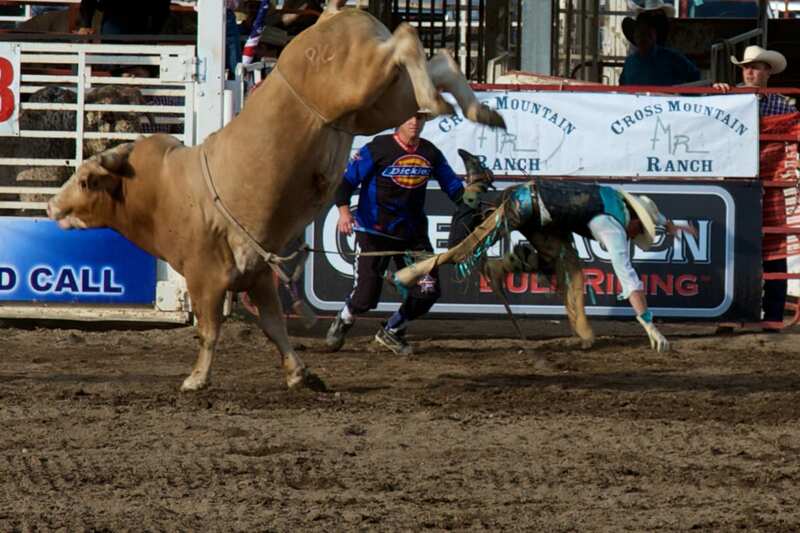 [Pro Rodeo in Steamboat Springs. 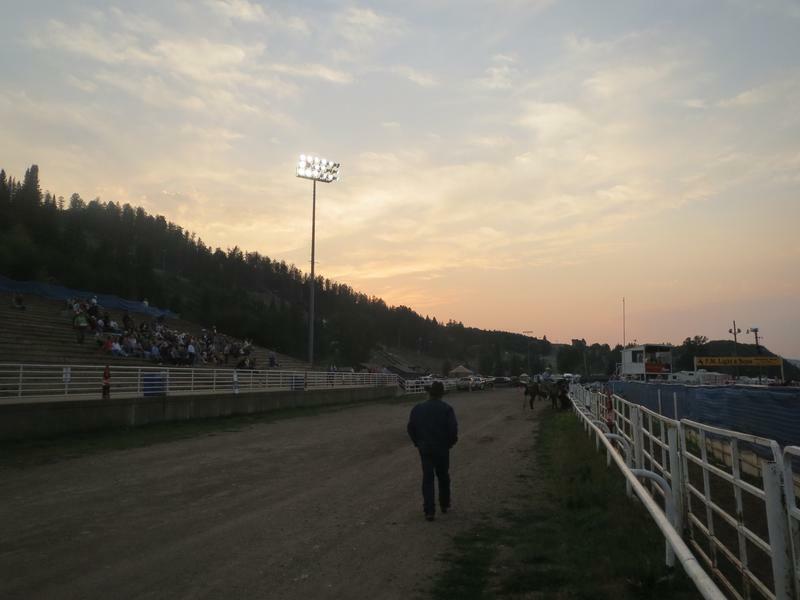 Photo: Chris Bentley] Experience the fun and western charm of a local rodeo in Steamboat Springs, which have been held in town for over one hundred years. 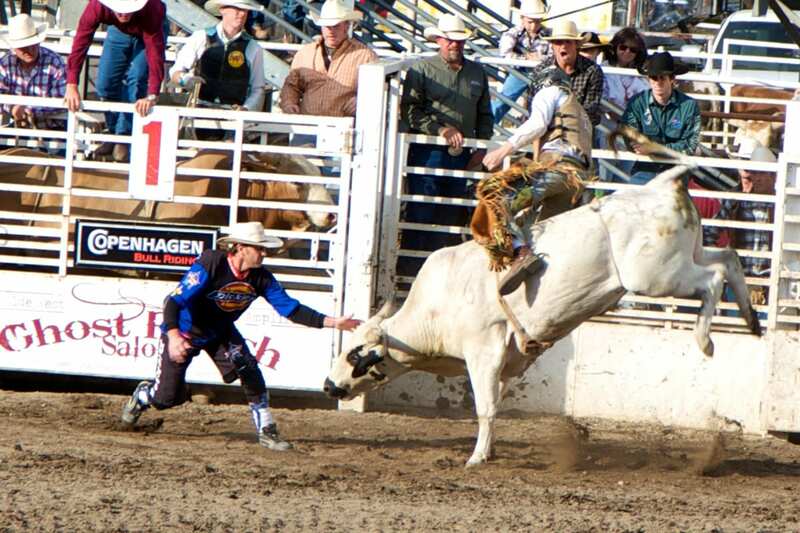 ​Events are part of the Pro Rodeo Series and are held weekend nights from mid June to mid August. 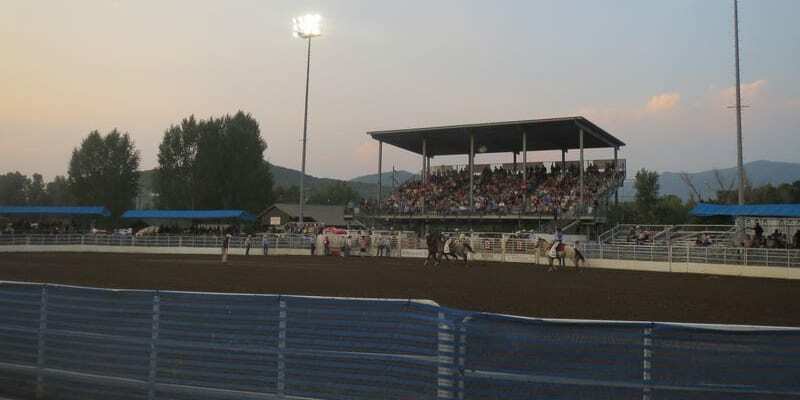 The Steamboat Pro Rodeo Series kicks off June 21st and runs until August 10th, 2019, every Friday and Saturday evening. It’s held in the Brent Romick Arena Howelsen Park, next to Ice Arena. 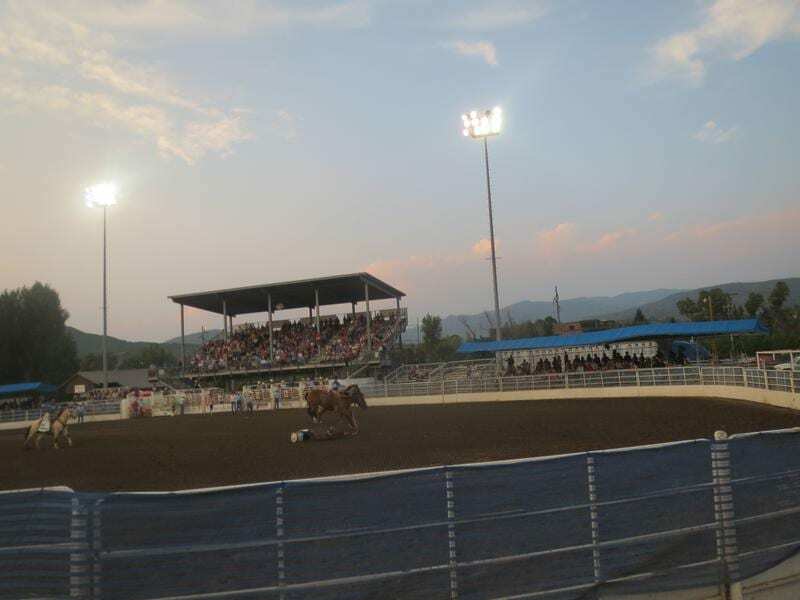 Parking is available at the rodeo or in downtown Steamboat, which is a short walk. 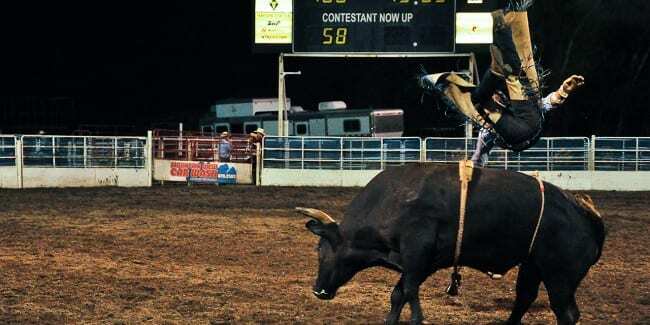 The rodeo typically last two hours. Food, concessions, beer and wine are sold inside. A BBQ begins at 6pm and runs until 9:30pm. Pre-rodeo entertainment takes the stage from 6:15pm until 7:15pm. Gates open at 5:30pm. All seating is general admission. Kids, ages 6-12, can participate in the Calf Scramble, while kids 5 and under, can try the Ram Scramble. Announcements will be made before the event, no registration is necessary. Object is to grab the ribbon off the animals tail. Pre sale tickets are sold downtown at F.M. Light & Sons and All That Jazz, and on the mountain at Sheraton Steamboat and Gondola General. You can also buy tickets online. Pets are not welcome on the fairgrounds. Sunset over the Brent Romick Arena. Steamboat Springs Pro Rodeo Series.